To carry smooth and finite operation accessories are very much useful for the computers. 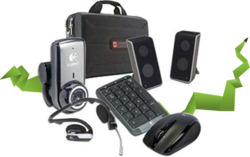 The accessories include external and internal CD writer, ROM drive, Hard disk, Optical wheel mouse, Power adapter, Speaker, Anti Glare Screen, LAN card, Laptop bags, Mouse Pad, Printer and keyboard. Projectors avoid space constraint mainly used among business people to show case their Powerpoint presentations. 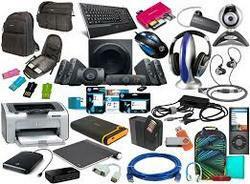 - Input devices like Mouse, Keyboard etc.